Deb and Don graduate from "Governor School"
Congratulations to DGE Don and Deb Evans who completed their Governor training with more than 500 Governors Elect from around the world in San Diego this past week. Photo with RI President Elect Ian and Juliet Riseley. DGE Don and Deb are being congratulated by RI President Elect Ian and Juliet Riseley. The group is standing in front of a banner with the 2017/18 Rotary theme: Rotary Making a Difference. Keep in touch, or reach out to us on social media! 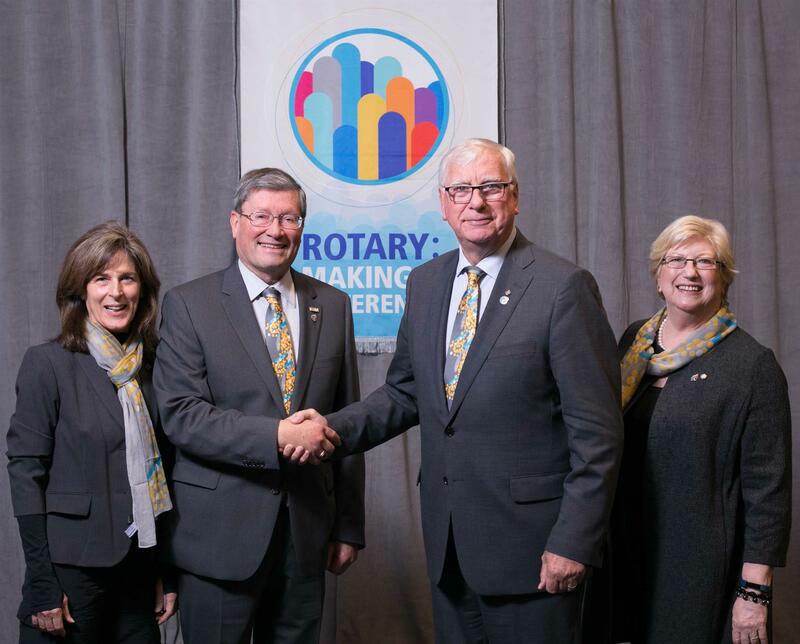 All materials and photos, unless otherwise specified, copyright © Rotary District 5040.